Must have for gas engine spark plug ignition wires - ALSO best tool to get stubborn fuels hoses off AND to install rubber exhaust hangers ( donuts ). Two protective sleeves provided with tool. 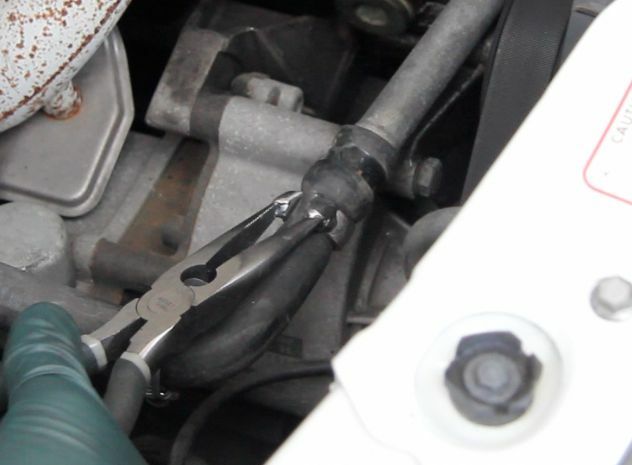 Watch how easy it is to replace a rubber exhaust hanger! A better mouse trap??? This is what Kent set out to do when developing this new universal clamping plier. The original plan was to come up with a better tool to remove stuck spark plug wires. That goal was met, but in the process a few other important uses for this new tool were "found" along the way. This includes removing frozen fuel and heater hoses, holding bolts and nuts in awkward places to get them threaded by hand, removing corroded battery post clamps, installing flexible brake hoses, and maybe the best yet - getting those rubber exhaust hangers on and off without damaging them!!! Designed and fabricated by Kent Bergsma. The grooves in the head provide a secure clamping surface. Along with the plastic insert provided it can be the ideal tool for removing ignition wires from the spark plugs on the M102 and M103 four and five cylinder single camshaft engines in the 190E, 260E, 300E, 300TE, 300CE, 300SE, 300SEL from 1984 to 1993. Some versions of the plug wires on these engines can be a little fragile, especially if the wires are old. Slip the plastic protector over the rubber part of the spark plug wire before clamping down on it. SPECIAL NOTE: This is a must have tool when trying to remove and replace the bowden cable on most 1981 to 1985 models (equipment with this cable running from the throttle linkage to the transmission. A rubber hose split protective sleeve is also included with the tool to provide extra protecting on a any part you want to "grab" that you do not watch scratched by the jaws. Fits all GAS ENGINE exhaust systems for 107, 116, 126, 124 and 201 chassis from 1972 to 1995. Gas engine exhaust systems are generally heavier and run hotter than diesel engine exhaust systems. This is a wider and more heavily reinforced exhaust hangar than the standard round type. NEW DESIGN - Best exhaust hangers for rattle prevention - and they stay on! Fits all DIESEL ENGINE exhaust systems for 115, 116, 123, 126, 124 and 201 chassis from 1968 to 1995. If you are looking for a more robust exhaust hanger this is it! 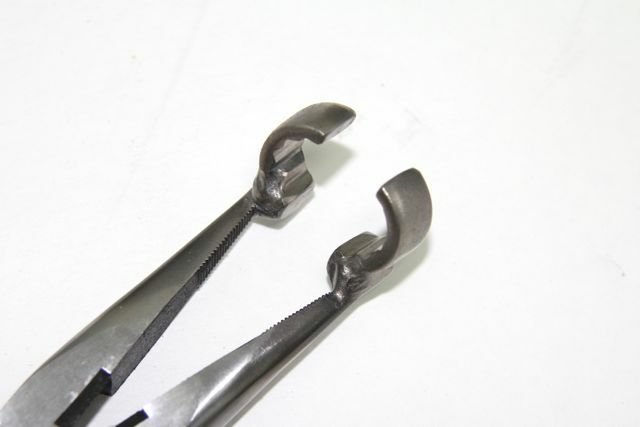 It is a stronger and more secure exhaust hanger than the standard round rubber type. Here is a brand new set of four exhaust "donuts". Check your existing rubber hangers on your exhaust. If they are cracked replace them before you lose your mufflers! If your exhaust is rattling, these should fix the problem. Fits all chassis models 108 107 113 116 123 126. Working on an Old Benz: This Tool Will Get You Out of a PINCH Every Time. 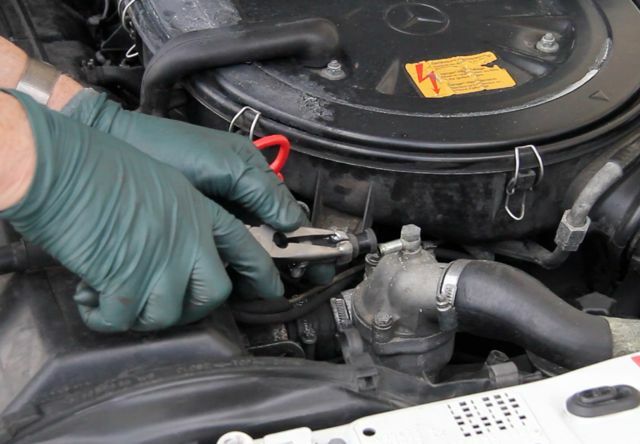 The distributor cap has become the number one culprit due to age and neglect! Both problems require removal and it can be a little "tricky"